I did, but just the volume pot. It softens the overpresent treble a little bit. Next I am going to try 250k volume pot, just to see how I like it. And yes, the neck is really great. Has the Marr model got the 3rd switch setting with the added cap. I like that sound! I finally ordered up a new Kandy Orange Marr Jaguar (has an awesome birds eye maple neck). I want to put a Spitfire tortoise guard on it, but I’m not sure which color to go with (bright red, burgundy, or mix). Anyone here put a Spitfire on theirs, or have any pics of KO Jags with a Spitfire guard on it? What pedals get along well with a Johnny Marr Jaguar? Are there any particular fuzz, delay, overdrive, or other pedals people have found are a good pairing? I got my Oly White JM Jag a few weeks ago and the pickups are amazing. I was worried the low output would be an issue but so far I’m just loving all the dynamics I can get. Thanks! I really like the guitar. I used to have a CIJ Jag, but I tended towards Jazzies. But a few years ago, I ran across a '65 Jag at a local Guitar Center of all places, and fell in love. I couldn't swing it then, but that guitar stayed with me. So when I decided to add some offsets to my otherwise very hollow collection of guitars, I found out about the Marr, and decided, after much consideration, to take the plunge. The hum isn't that bad, relatively speaking, and once i start making serious noise, it's a non-issue. The scale length is a bit of a squeeze, but I'm acclimating quickly; the comfortable neck profile helps a lot. So nice! Is that a Spitfire guard, and if so, what color/combo is it? 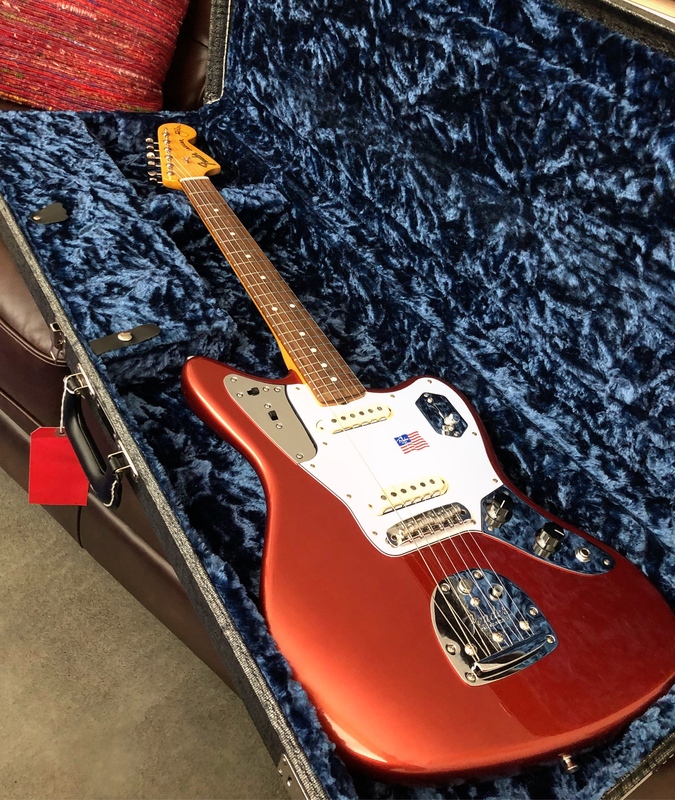 Anyone know how to determine build date by serial number on the Marr Jag? I was wondering the same thing. Haven't been able to figure it out. Here’s a pic of mine right out of the box. 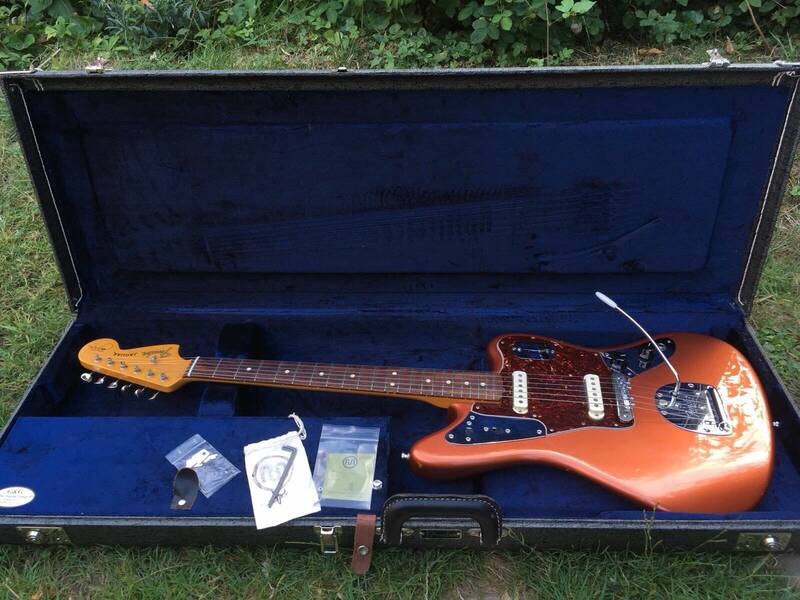 I spoke with my dealer who I bought my Marr Jag from. He told me mine had a build date of April ‘18. I can’t figure out how that correlates to it’s serial number though. So it has to be asked since your Marr guitar is so new. Does the bridge have 52 mm string spacing like the LPB models apparently do? If you don't have calipers do you notice whether the e strings are falling off the neck high up? I’m not sure what the actual string spacing is, but the low E string does flop over the edge of the fretboard. That’s another reason why I opted to put a Mastery beige on it. 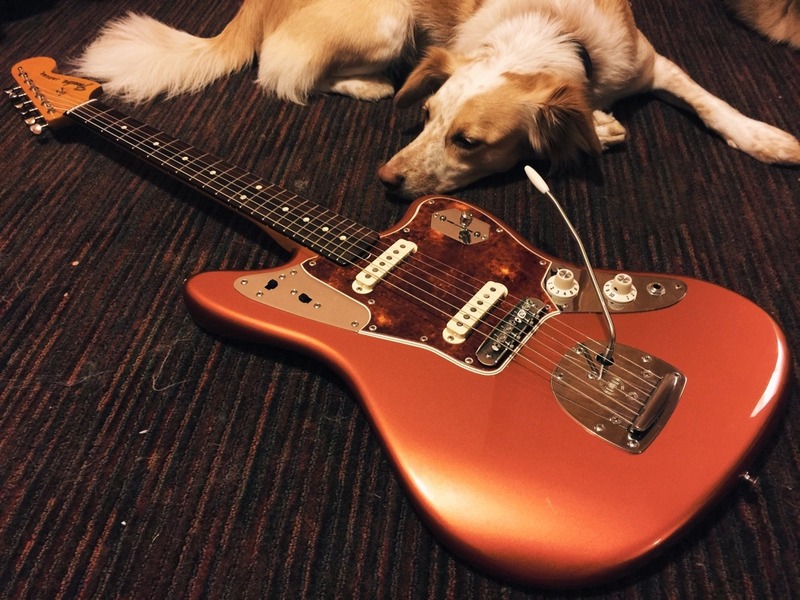 I’m really digging the Marr Jag. 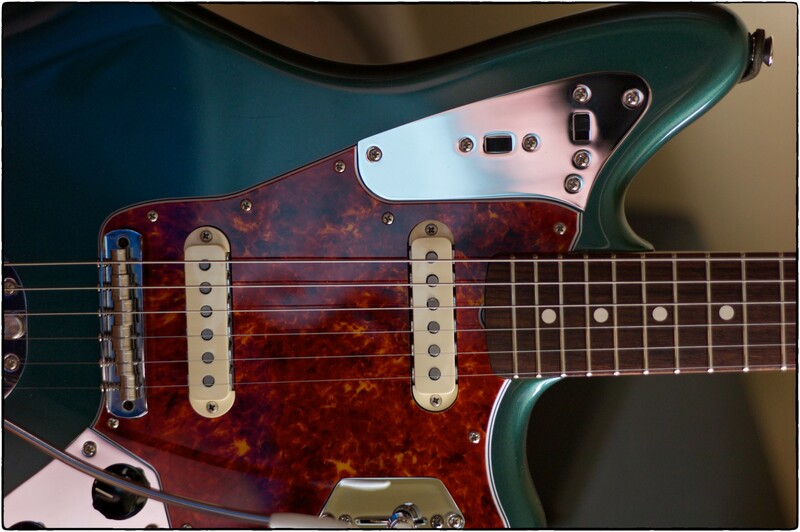 So much so, that I went ahead and ordered a nice (barely over 8 lbs) LPB Marr Jaguar as well. I have a Mastery bridge ordered for my KO Marr, but I was thinking about ordering a Staytrem bridge for the LPB Marr - however when I try to access the Staytrem site, I keep getting error mssgs (site not found).